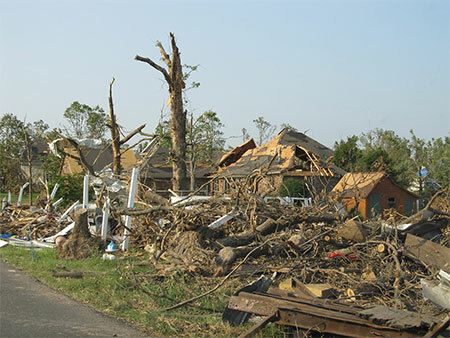 Disaster-resistant homes designing means that you design the homes in a way that you are better prepared to avoid damage, suffering and death casualties. Disaster-resistant structures are highly recommended to cope with different catastrophic weather conditions. Severe weather conditions happen when torrential rains, heavy dust devils, tornadoes, hurricanes, and twisters go out of control. These are parts of common natural phenomena that appear to be occurring more frequently. Striking weather patterns force homeowners to think about how best to design their homes against them. Irreparable destruction caused by Irma, Katrina, and other catastrophic hurricanes are enough to make most people believe that no measures will be enough to save your property. However, that’s not necessarily the case. When weather conditions go bad, your home's windows and doors can cover your entry points if they are made of powerful material. Your windows should be made of a thickly wielded net, which shields against the fast blowing gusts of wind. Also, it’s imperative to make sure that windows and doors are installed at the right points of the house to resist hurricanes. The more technically and tactfully oriented a house is, the more resistant it will prove. Excessive torrential rains and poor drainage system invite regular flooding. Hurricanes and tsunamis in coastal areas may also bring about a flood. Floods, just like other catastrophic natural calamities, can be extremely dangerous and damaging. Moreover, they also destroy properties, fields, crops, plants, and other valuable assets. ● Build your home on stilts, an old traditional method in the various places prone to flooding like Thailand, New Orleans, etc. ● Raise your home above the waters and protect it just by building a sturdy and waterproof wall. ● Doors and windows should be fully flood-proof. Dry waterproofing is especially necessary to keep the water out of the house. ● Spalling of bricks in the house can force the topmost layer to peel off the bricks, thus causing leakage. It lets water come in from different sides. Fortunately, if you have a brick repair kit, you can easily cement potential leakage spots on your own. Natural disasters are often unexpectedly imminent and dangerously threatening to communities nationwide. Some areas in particular are highly prone to earthquakes. Earthquakes are characterized by sudden jolts in the ground caused by the shift of tectonic plates in the Earth. When earthquake-resistant homes or buildings are designed, special flexible iron rods are used to bear the jolts caused by an earthquake. ● For walls and foundation, mortar will be the best. ● The height of the wall above the floor to the ceiling must be considered technically. ● The size and placement of doors and windows in walls must be given utmost importance. ● The level of the eaves of sloping roofs should be kept in market. ● The junction of walls in every corner should be given due weight-age. ● The wooden beams must be used in roofs and floors. ● Post-consumer recycled plastic panels. All these elements can help the whole structure withstand the heavy jolts caused by an earthquake. A fire-resistant home is a strategic priority for the residents and builders alike. With the climatic changes on the rise, severe weather conditions like acute cold and hot weather can cause severe damages to properties. Due to the rise in wildfire, the builders and homeowners are forced to fuel the need for designing fire-resistant homes. A fireproof-home is equipped with passive fire protection shields, fireproof exterior walls, roofs, windows, and doors.